A number of individuals claiming to be receiving ‘messages’ from Heaven have unfortunately attached themselves to this mission and are urging people to follow new alleged messages and sets of instructions which contradict all that we were given in the Book of Truth’. 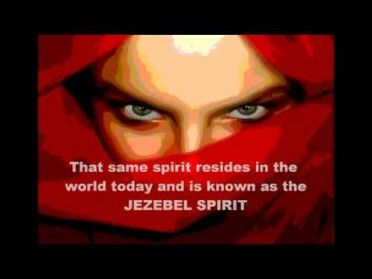 The evil spirit of Jezebel will do all she can to infiltrate My Church on earth dated 23 November 2014 18.20 hours. “Be wary of anyone who comes forward and who says they have been sent by Me to help spread My Word. Know that i have not appointed one single prophet to communicate My Word since this Mission began. But out they will come these false prophets, in their droves, each one trying to outdo the other. They will then try to use this mission to garner support, so they can spread untruths. All those who may be seduced by the evil spirit of Jezebel, and who respond in any way to this spirit, will soon find that all love for Me will come to an abrupt end. You place your soul in great danger when you fall for the lies of Jezebel, sent from the bowels of the abyss to destroy My Church and My prophets in these times”. Un certo numero di individui che affermano di ricevere dei “messaggi” dal Cielo si sono purtroppo uniti a questa missione e stanno sollecitando le persone a seguire dei nuovi presunti messaggi e serie delle istruzioni che contraddicono tutto quello che ci è stato dato nel Libro della Verità.